Depending on the community, properties can be in high demand when they come up for sale. This is certainly true in Lakeland, located in the heart of central Florida. The State of Florida is considered one of the top destinations for Americans who are of retirement age. According to the Pew Research Center, over 19 percent of the state’s population is 65 or older. The Sunshine State remains a popular choice for people to spend their golden years, and one of the most attractive options for these individuals is living in a 55-plus community. Here are a few home selling tips to make sure you get the most value when putting your home on the market in a 55+ community. Many retirement communities have a HOA fee for residents. This fee can vary widely throughout different communities and covers the costs associated with community management, the upkeep of your home and yard and the different amenities offered. Make sure you know these costs and state them clearly in your listing so potential buyers are not surprised. There are many retirement communities to choose from, especially in the Lakeland area. Therefore, it is vital to list the features that set your home apart from others. Does your community have amenities such as recreational opportunities, a golf course, country club or activities for residents? Additional selling points to consider are the crime and safety rating of the area; the proximity of conveniences such as grocery stores and banks; the location of the nearest hospital; and the walk-ability of the community; and what places of worship are nearby. Many retirement communities offer perks that are not found in normal housing. Does your home have wider doorways, allowing easy access for those with wheelchairs or walkers? Is your master bedroom on the first floor or upstairs? Are the bathrooms in your home handicap accessible? These can be deciding factors for those looking to purchase a home in a 55+ community. Each market is different but typically people prefer to buy homes and move when the weather is warm. This is less of an issue in Lakeland, Florida as the weather is almost always warm. However, Florida summers can be too hot for residents in a 55+ community to pursue a move. Winter and spring are considered the best times to sell a home in this area due our many seasonal residents. One of the biggest hurdle of selling your home is putting a price tag on. Your home’s price is the most important factor in determining the success of the sale. 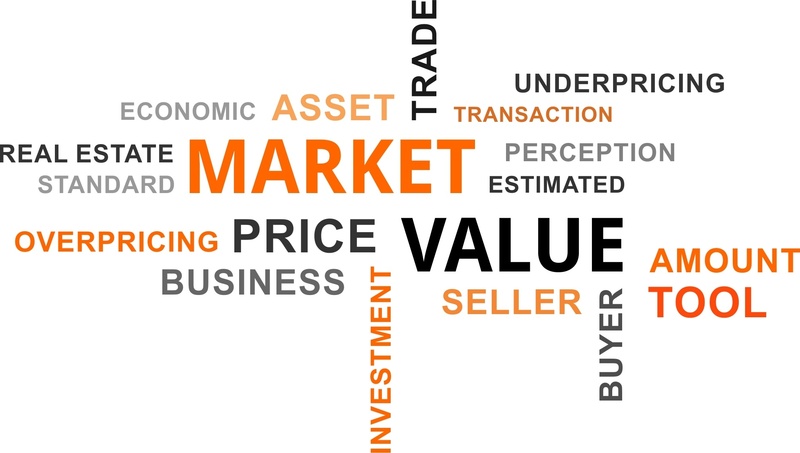 Obviously, overpriced homes do not sell, no matter if it is a Seller’s Market, a Balanced Market or a Buyer’s Market. Hiring a professional Realtor who can provide you with a comparable market analysis (CMA) will greatly benefit in pricing your home. Most home sellers and their real estate agent overlook this home selling tips on how to market the home. 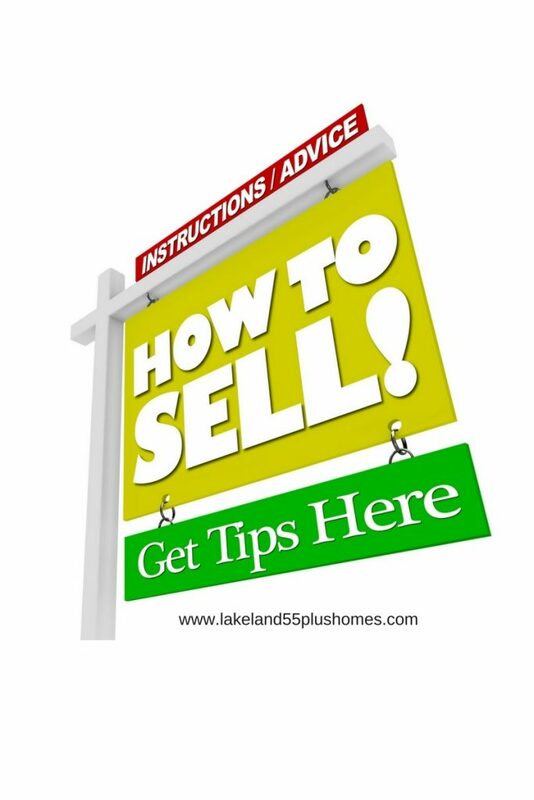 Home buyers looking to purchase a residence in one of Lakeland’s 55+ communities will want to know all about the surrounding areas before purchasing so be sure to include these facts in your listing. It is also a best practice to praise your home’s leading features by offer descriptive text and professional photos to attract more potential buyers. Speaking of potential buyers, you will need to get your home seen by as many people as possible and that means you will need to do more than just put a sign in the front yard. Employing a licensed real estate agent who is trained and well versed in the marketing of homes can be a great asset versus selling a home by owner. A licensed real estate agent has the advantage of listing a home on the Multiple Listing Service – or MLS for short – where many people tend to look for homes online. When listing your home for sale in one of Lakeland’s 55+ communities, buyers will want to see the inside of the home in person. This means you will need to work around their schedule – not yours – if you want to get the home sold quickly. If you are working with a real estate agent they can schedule showings of your home for you, even when you are not home. Just because someone places an offer on your home does not mean they can afford the home. Make sure every offer you consider is accompanied by a pre-approval letter, not a pre-qualification letter. There is a big difference! If a buyer is not pre-approved it may be helpful to refer them to a mortgage broker who can help them with the process. If you are looking to sell your home in a 55-plus community, it is wise to consider hiring the services of a professional real estate agent. National statistics show that more than 80 percent of all homeowners who attempt to complete a sale by owner fail to do so without enlisting the assistance of a Realtor. Petra Norris is a licensed and experienced Realtor who has been serving the community of Lakeland for many years. If you have a home in a 55+ community that you would like to sell quickly, contact her for a consultation today at (863) 712-4207. To see her currently available listings, check out www.lakeland55plushomes.com.